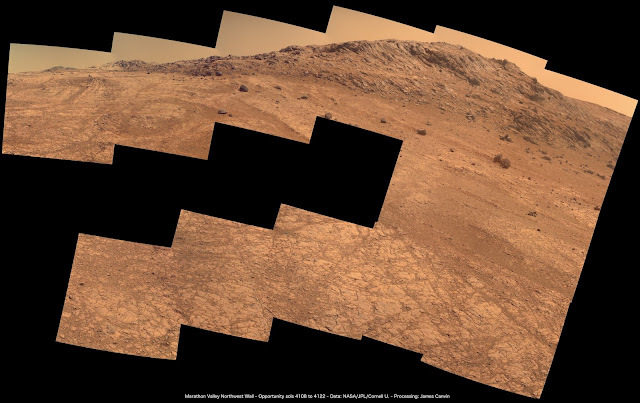 Above: Mars, as seen by one of NASA's rovers. You can't make a decent cuppa up a high mountain - air pressure dictates water's boiling point, and high mountain means low air pressure, which means a kettle boils while only warm. Hence, not a good brew. 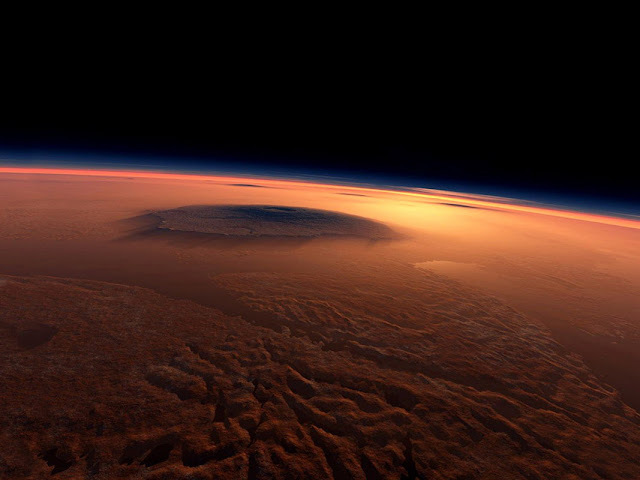 Mars' air pressure is really low. Not so low that ice turns straight into steam, not everywhere on Mars... but liquid water boils at just 10 degrees Celsius and evaporates fast even when kept cold. Above: One of Mars' immense shield volcanoes, poking above the atmosphere.